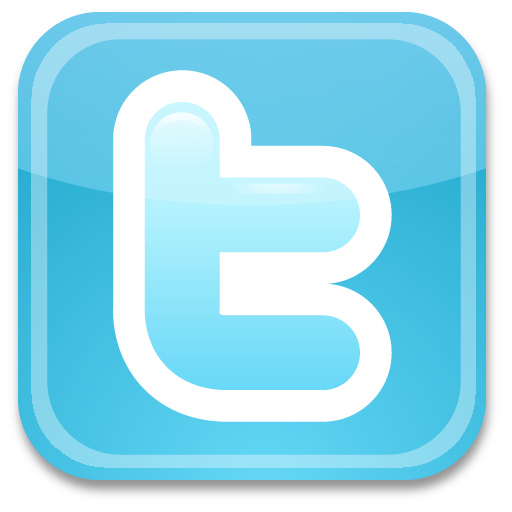 Crystalline Gold Shaped like a Hummingbird - - It's Free! 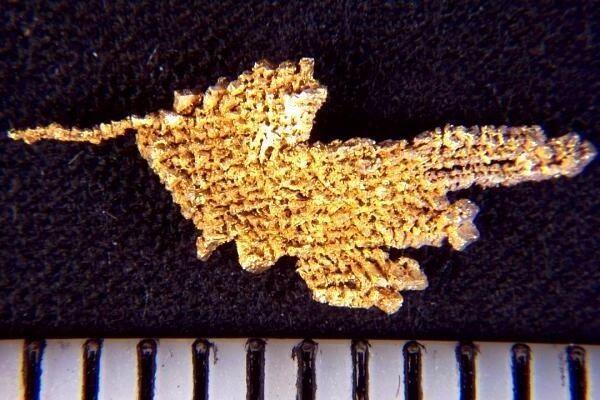 This is a gorgeous Crystalline Gold Specimen from Round Mtn, in Nevada that is shaped like Hummingbird. 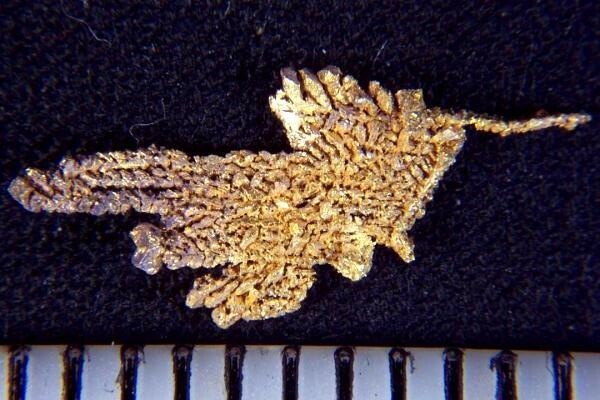 It is very rare to see a gold specimen shaped like a hummingbird, in fact this is the first one I have ever seen and it is a very rare find indeed. Perfect for your gold specimen collection. This specimen is over 5/8" long. The gold is very fine wire mesh type crystalline gold, which in itself is very rare to see.